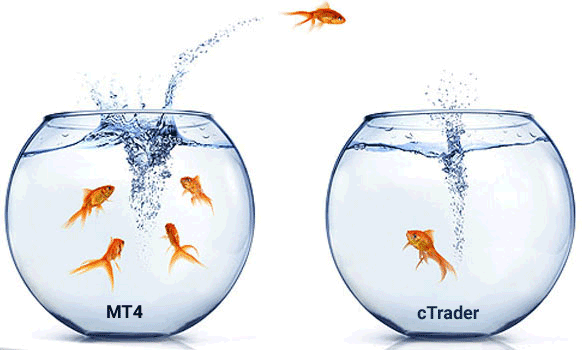 If you are thinking about migrating away from MT4 - MT5 and would like to start using the cTrader trading platform, then this page will help you move across as easily as possible. More and more traders are now migrating to use the cTrader platform for its clean user interface, excellent features and the use of Microsofts C# programming language to built automated strategies, indicators and extend the functionality of the platform with AddOns. What is the Difference Between MT4 and cTrader for Algorithmic Development? The main difference is that MT4 and MT5 use their own in-house programming language which can be used only with their own platform which is called MetaQuotes Language 4 (MQL4) which first appeared in 2005, so it is a pretty old technology now. 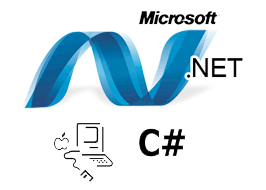 The language is similar to the programming language C++, this language is much harder to work with then C# and it is much easier to find a C# developer than a C++ developer. Many modern trading platforms are now using Microsoft C# as the algorithmic language of choice which means migration from one platform that uses C# to another that also uses C# is a much simpler matter. It is worth pointing out that MQL4 and MQL5 were written specifically for work on the MT4 and MT5 trading platform and is not a well know programming language like Microsoft C#. Expert Advisor (EA) - this is the name given to an automated strategy by Metaquotes Software Corp. that is used with the MetaTrader trading platforms. cBot - this is the name given to an automated strategy by Spotware Systems that is used with the cTrader and cAlgo trading platforms. A major benefit of using Microsoft C# with cTrader over MQ4 with MetaTrader is the development environment, with a Microsoft programming language you can edit the code using Microsoft Visual Studio which is not only free but a professional industry standard piece of software. The Microsoft C# programming language is very powerful and will allow you to think out of the box and accomplish practically anything. How Can I Migrate My Existing Expert Advisors? If you have your own collection of EA's and you would like to use them with the cTrader platform then you will need to convert them to the C# programming language and use cTraders interface library instead of MT4's, there are tools that will let you do this automatically and one is called 2CAlgo. What Can I Do If The Converter Does Not Work? If you are unlucky enough that the converter does not work then we can assist you in converting your EA into a cBot using the C# programming language, please click on the link below to find out how we work and how we can help you move across smoothly. There are various brokers that you can choose from and we have added some reviews to this website, to find out more click on the link below. Want To Find Out More About Algorithmic Trading Using cTrader? 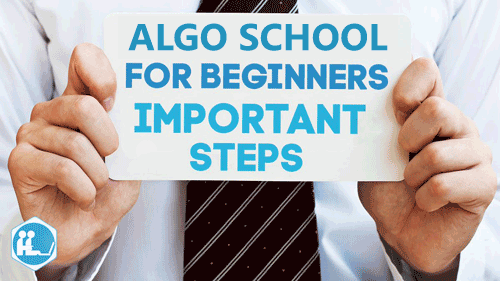 If you wish to find out more about algorithmic trading using cTrader then follow the link below which will take you to a page where you can find out all about cTrader, cAlgo and how to build automated strategies using Microsoft C# and Visual Studio. It is true that MetaTrader has many developers creating 3rd party software to be used with the trading platform, cTrader is slowly catching up as more and more software vendors start developing additional software for the cTrader platform. We have some very useful software applications that extend the functionality of cTrader, why not find out more about them.